The International Finance Corporation (IFC), a member of the World Bank Group, has unanimously approved investments worth $660m for a total 500MW of solar projects to be located on Benban solar complex in Egypt. The funds will be used to finance 13 large-scale PV projects being developed from both public and private companies. Mouayed Makhlouf, IFC Director for the Middle East and North Africa said: “This landmark investment demonstrates that when you have the right reform policies, and a government willing to allow greater involvement by the private sector, you can attract investors in every sector, including infrastructure” adding “Investments like these are the nucleus for economic growth, which is needed in Egypt”. The projects will be part of the 2GW national goal through Egypt’s landmark solar Feed-in Tariff (FiT) programme, aiming to harvest the country’s rich solar potential and develop the largest solar photovoltaic generation park in the world. The 2 GW goal will be achieved through the development of 40 individual solar projects of approximately 50 MW each and help Egypt meet its target to source 20% of its energy from renewable sources by 2020. Egypt’s solar FiT programme, will include projects financed by several development institutions like the European Bank for Reconstruction and Development (EBRD) and Proparco and is expected to be one of the largest foreign direct investments in years. Last June, the European Bank for Reconstruction and Development (EBRD) approved a $500m package for 13 large-scale PV projects, as part of a 16-projects plant of 750MW total capacity. Harry Boyd- Carpenter, Head of Power and Energy at the EBRD “We have been working with the Egyptian authorities since 2014 to help them fulfil their ambitious goals in this area. We are delighted now to be in a position to commit very significant financing to projects, which we expect to start construction before the end of 2017”. The trust of Development Institutions to Egypt is expected to catalyse a further debt and equity inflow of $2 billion, highlighting Egypt’s re-emergence as an attractive investment destination. The news came along despite Egypt’s announcement last December to reduce the FiT rate for PV projects to US$0.084 and US$0.078/kWh. At the time, several power project developers claimed that the new rates would put in question the viability of several projects, although the new FiT price level is in line to rates seen in other regional markets. In Impact Investing’s Rush to the Mainstream, Who Are We Leaving Behind? After a long march toward mainstream acceptance, many in impact investing are claiming victory. The industry is garnering attention at major publications like The Economist, and recently celebrated the emergence of a star-studded $2 billion fund. Meanwhile, studies have proliferated supporting the idea that you can earn market rate returns while making a meaningful difference in the world, and investors have taken note: The GIIN’s 2016 Annual Impact Investor Survey states that 84 percent of survey respondents were targeting risk-adjusted market rate returns or close to market rate returns. In a report launched by Oxfam and Sumerian Partners today, we argue that it’s time to look at impact investing differently; to start with a focus on the needs of the businesses working to make a meaningful impact on poverty reduction, rather than on the investors who stand to benefit from their work. Enterprises working in this space are in new territory – continually adapting their business models, earning low and slow returns and operating in markets that are subject to considerable exogenous shocks (e.g., economic instability, weak infrastructure, extreme weather events and poorly developed value chains). These firms will make decisions that can seem irrational if your focus is market return. They may seek out “at risk” populations, such as single moms balancing the demands of work and family, as employees. They may share ownership and decision-making with their workers. They may pay their suppliers not the price that is commonly expected in the market, but a higher price the firm sees as “fair.” The businesses themselves, and the funds that put their money into these firms, organize around the intention to generate a measurable, beneficial social or environmental impact alongside a financial return – and that prioritization is reflected in their structures, processes and activities. However, to meet the return expectations that have been established by the sector’s push toward the larger mainstream market, we increasingly see conventional emerging markets investments being reclassified as “impact investing.” Arguably, it’s this trend that has transformed TPG’s investment in Apollo Tower, a cellphone tower company in Myanmar, from a standard emerging market foreign direct investment into an impact investment. The impact statement claimed by supporters is that cellphone access has “helped to increase transparency in a country known for tight control of its information, helping the nation take steps toward democracy.” Hmmm. Really? A cell phone company is actually a democracy and governance project in disguise? Seems a bit of a stretch. As we write in our report, it should not be assumed that an investment in a cell tower, or a wind farm, or any other enterprise in the global south, is inherently socially positive. Rather, it should be incumbent upon the fund to demonstrate how these enterprises are intentionally structured to optimize impact and benefit poor and marginalized groups – rather than only providing implied, incidental or indirect benefits. They should be able to show what difference the fund’s provision of capital and support and engagement has made. Any self-identifying impact investor should be able to demonstrate a clear intentionality to achieve impact. Furthermore, the research that has set the prevailing “have your cake and eat it too”-sized return expectations has its limitations. Take, for example, the very same GIIN/Cambridge associates “benchmark” report, which included no commentary on the associated impacts achieved and instead used a self-reported intention to generate social impact as the only impact-related criteria for inclusion in the benchmark. The data included a high proportion of funds focused on the theme of financial inclusion, an industry that has depended on decades of subsidies. Finally, the “benchmark” setting was drawn from a small pool of funds, all of which were targeting market rate returns. How Africans are ‘leapfrogging’ through economic and social development. Innovation and entrepreneurship, when supported by social impact investing, create a leapfrog effect on people, planet, prosperity and partnerships. The importance of supporting women was one of the main leitmotivs of the Africa Impact Investing Leaders Forum, held in London on 27 Oct, 2016. 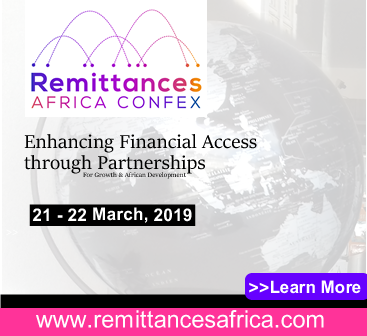 Delegates asserted that this historically disempowered group plays a pivotal and well-documented role in augmenting positive social, economic and environmental outcomes – particularly when impact investments find their way into microfinance, agriculture, renewable energy and infrastructure sectors. Speaking from the podium, Suzanne Biegel, founder of Women Effect, urged all investors to use a “gender lens” when considering impact ventures. And to ask some salient, due diligence questions, such as: “Where are the women in this investment? Are they on the product design team if the product concept is for women? Do they have a formal leadership or decision-making role where the project in question is targeting women”? Caroline Mulwa, Kenya country manager of social impact investor, Oikocredit, agrees wholeheartedly with this view. Referencing the smallholder agriculture sector, she says: “88% of Africa’s female population live in rural areas; 70% of agricultural labour is provided by women; 90% of all food is produced by women, but women own less than 2% of the land. Yet women have a significant, measurable, positive impact on small business ventures, local communities and families. And they have been proven to reduce investment risks”. 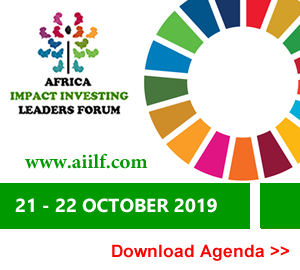 With the experience of major African economies showing that the benefits of growth at the top are not trickling down to the poor, it is time for innovative economic alternatives such as impact investing to show the way forward for inclusive growth. There was a time when ‘trickle down’ was the favourite word in the lexicon of economists worldwide. According to this theory, as long as an economy is growing, the benefits will eventually make their way through the system. For the proponents of trickle-down economics, the belief was that rising incomes at the top end of the spectrum would lead to more jobs, less poverty and higher incomes at the lower end – much like a rising tide lifts all boats. However, over time, it has proven to be a fallacy, just like any other belief in equitable wealth distribution as a natural course of events. While a business entrepreneur might create entirely new industries, a social entrepreneur comes up with new solutions to social problems and then implements them on a large scale. Social entrepreneurs act as the change agents for society, seizing opportunities others miss and improving systems, inventing new approaches, and creating solutions to change society for the better. The essence of entrepreneurship is the burning desire to create an organization that focuses in helping humanity by solving societal problems, providing needs, and in the process, the entrepreneur can make money. Social entrepreneurship is about applying practical, innovative and sustainable approaches to benefit society in general, with an emphasis on those who are marginalized and poor. 1.Social entrepreneurs don’t do well in bureaucracies. They cannot sit back and wait for change to happen – they are the drivers of change. 2.A social entrepreneur is a pragmatic visionary who achieves large scale, systemic and sustainable social change through a new invention, a different approach, a more rigorous application of known technologies or strategies, or a combination of these. 3.A social entrepreneur has a practical but innovative stance to a social problem, often using market principles and forces, coupled with dogged determination, that allows them to break away from constraints imposed by ideology or field of discipline, and pushes them to take risks that others wouldn’t dare. 4.Social entrepreneurs are innovative, resourceful, and results oriented. They draw upon the best thinking in both the business and nonprofit worlds to develop strategies that maximize their social impact. These entrepreneurial leaders operate in all kinds of organizations: large and small; new and old; religious and secular; nonprofit, for-profit, and hybrid.